An avid knitter, especially of sweaters, Kathi is motivated by the history of knitting, time-honored techniques, and the beauty of the finished product. At age twelve, and already sewing her own clothes, a friend’s mother taught Kathi to knit—igniting a life-long passion. After receiving her Art History degree, Kathi moved to Manhattan and began working at MoMA. Her love of art, history, the visual image, and a keen eye for detail led Kathi to a 30-year career at the Time Inc. Picture Collection. 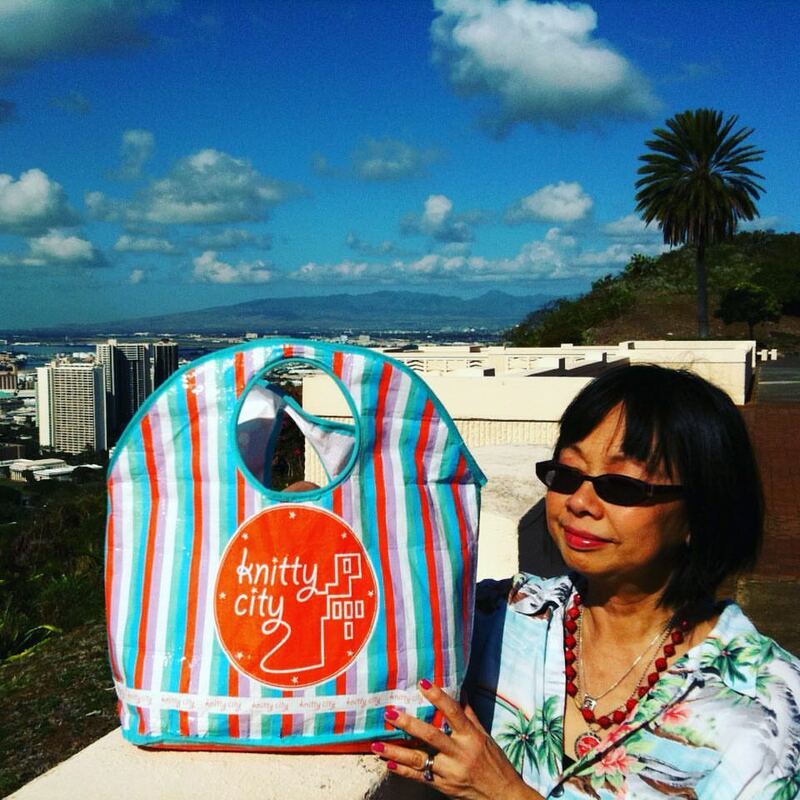 Early retirement has allowed Kathi to join Knitty City and share her knitting knowledge and skills. Ubaldo is a passionate person. 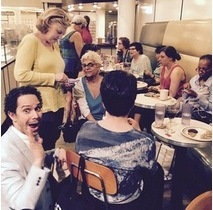 He is passionate about knitting, crocheting, beading, design, cooking, opera, and life in general. Born in Puerto Rico, Ubaldo studied at the Conservatory of Music in Puerto Rico and came to the U.S. to study at the prestigious Academy of Vocal Arts. He ha performed in numerous operas in the U.S. and abroad. He started knitting in 2001 in Philadelphia and learned so quickly and so well that he wound up working in one of the local shops. During that time, he mastered the craft of knitting as well as crocheting and later started working for several fashion designers in New York City. Charming and patient, Ubaldo has vast knowledge of intricate knitting techniques. Fluent in both English and Spanish, he can share the knowledge of knitting and crochet in both languages. 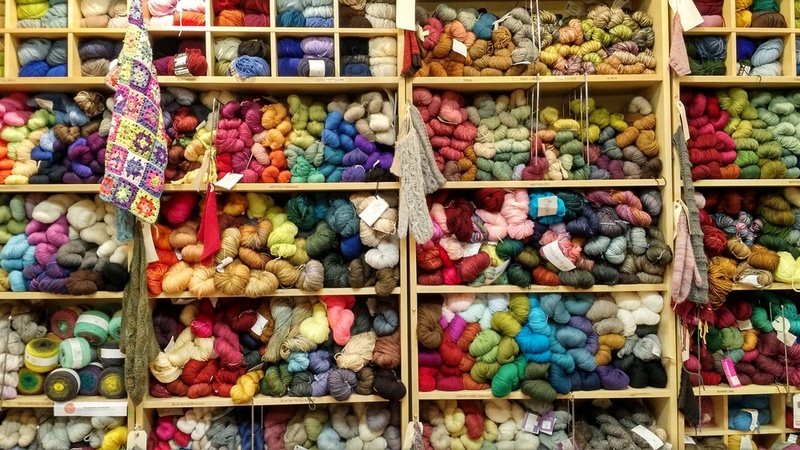 Television producing and knitting may seem like a strange career combination, but it makes perfect sense to Maxine who has a dual degree in Studio Arts and Communications. Knitting began at age 8 but was put aside for a career as a television executive and producer for ABC Daytime. 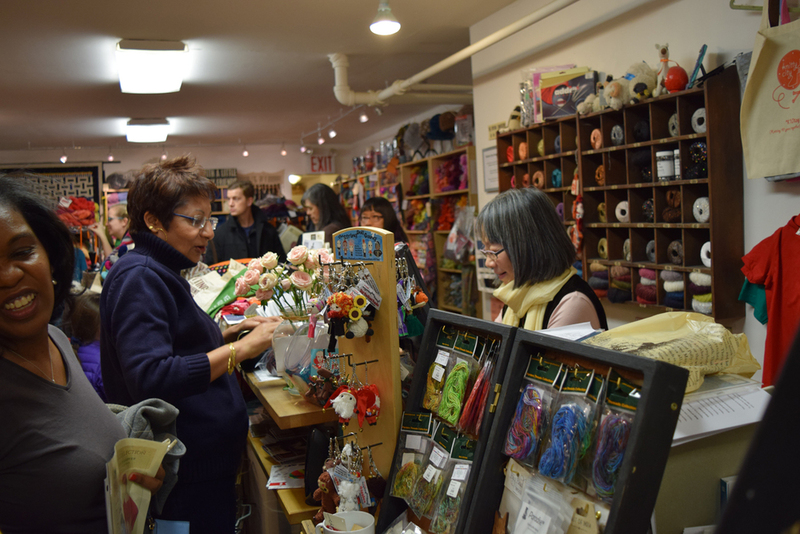 Maxine has been teaching at Knitty City since the store opened. She also teaches knitting and other crafts at The Creative Center, an organization that hires teaching artists to provide free art workshops to people with chronic illnesses. Maxine was the knitting consultant teaching children and their parents at Mt. Sinai Hospital’s Child Life Department and as Supervising Producer of Mt. Sinai’s KidZoneTV. 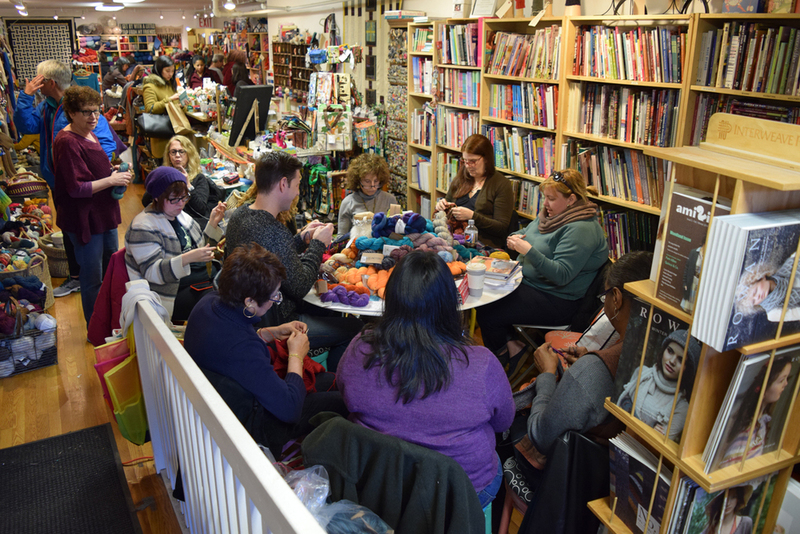 Betty Marsella, a retired New York City educator is offering beginning knitting classes at Knitty City. 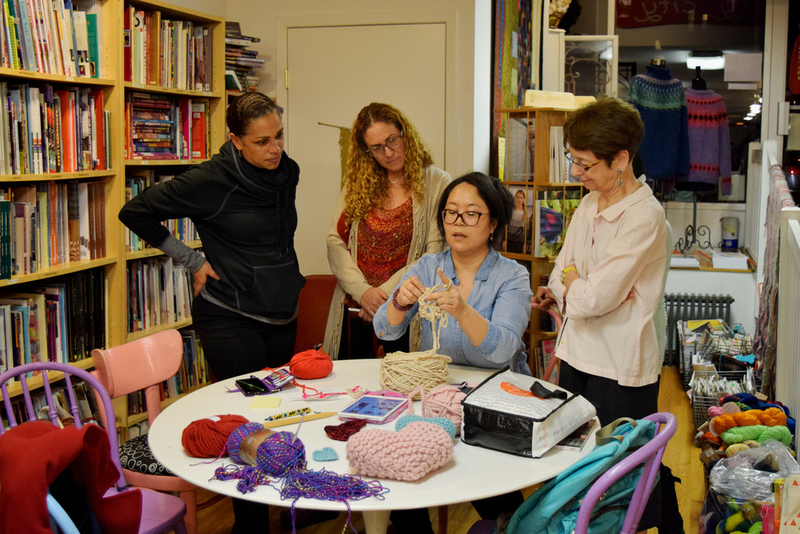 A former Upper West Sider, Betty has worked with children of all ages since 1979 and is sharing her expertise and passion for knitting by teaching afternoon classes. Since childhood Betty has had a passion for the needle arts. Taught by her grandmother and mother sewing, knitting, beading, quilting and needlepointing—she learned of the endless possibilities of working in the fiber arts. 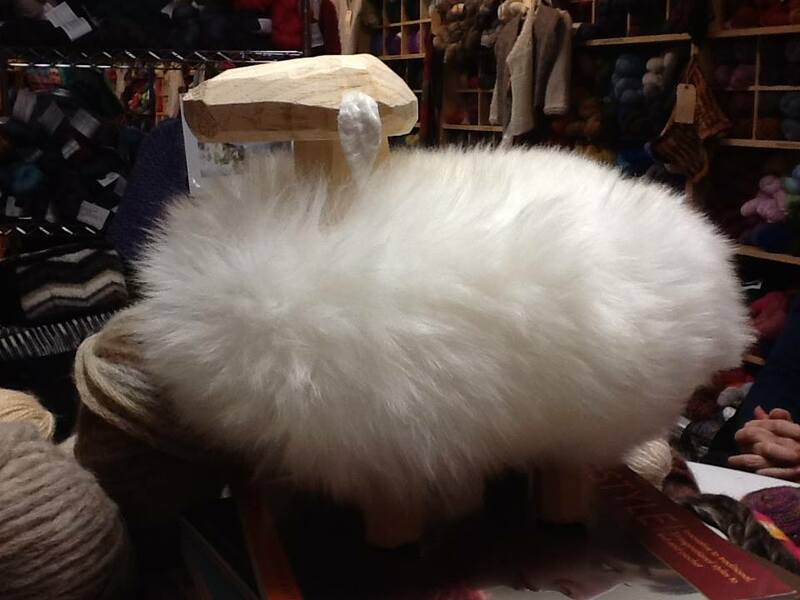 Jane has been knitting since childhood and has a lifelong passion for crafts. 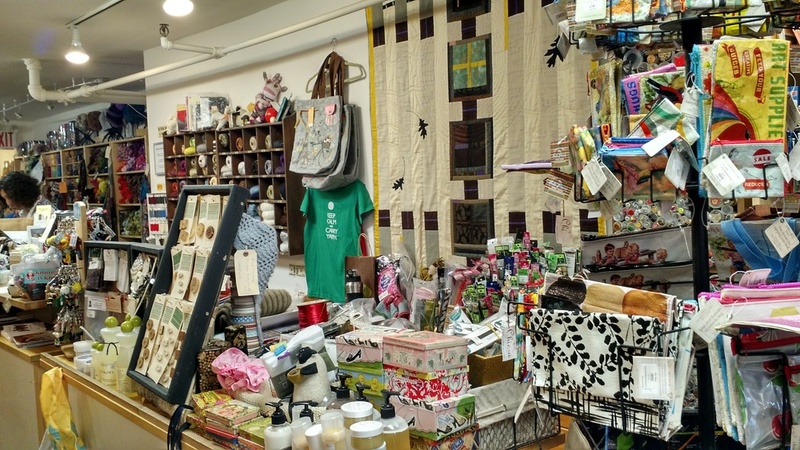 She has done beading, crocheting, spinning, quilting, silversmithing, and weaving, a craft that brought her together with Pearl at a class at Riverside Church over 30 years ago. She works for New York Artists Equity Association, Inc., an organization that is over 60 years old that advocates for visual artists. 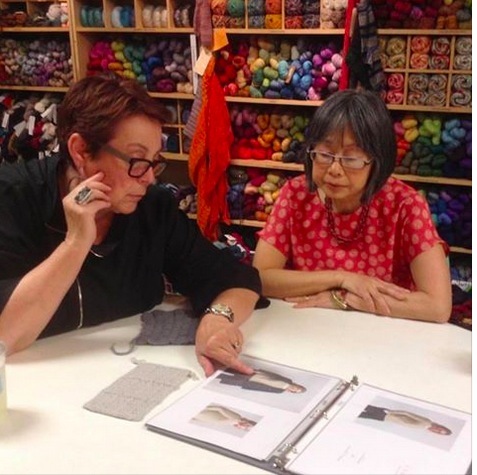 Jane loves teaching and sharing her knowledge of fiber arts, particularly with beginners. She is determined finish some of her UFOs this year. After having studied economics in her home town of Amsterdam, Nancy pursued a marketing career in corporate business only to find out that it was not her path to happiness and fulfillment. She met a charming New Yorker on the magical Island of Bali. got married and travelled together throughout the USA. Along the way, Nancy found a surprising passion: knitting. 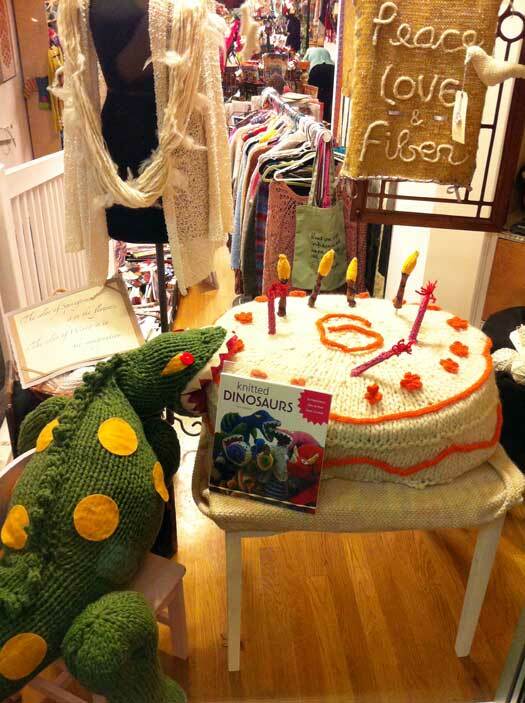 Nancy has made it her mission to encourage knitters to have fun with knitting and discover their creative satisfaction. Making beautiful things, she says, empowers you to realize that you can create anything you want. Nancy also does design work for Jade Sapphire and self-publishes her work. She writes about her knitting adventures on her website www.gettingpurlywithit.com. 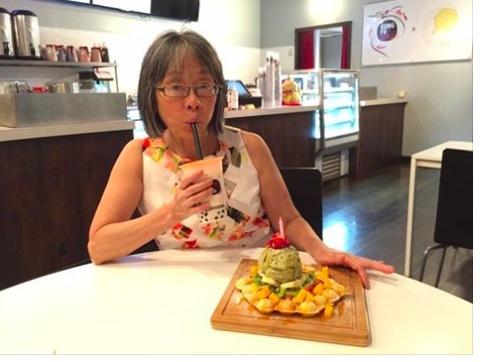 Diane has been knitting since childhood. Her early love of fiber led her to explore and gain expertise in felting and quilting as well. 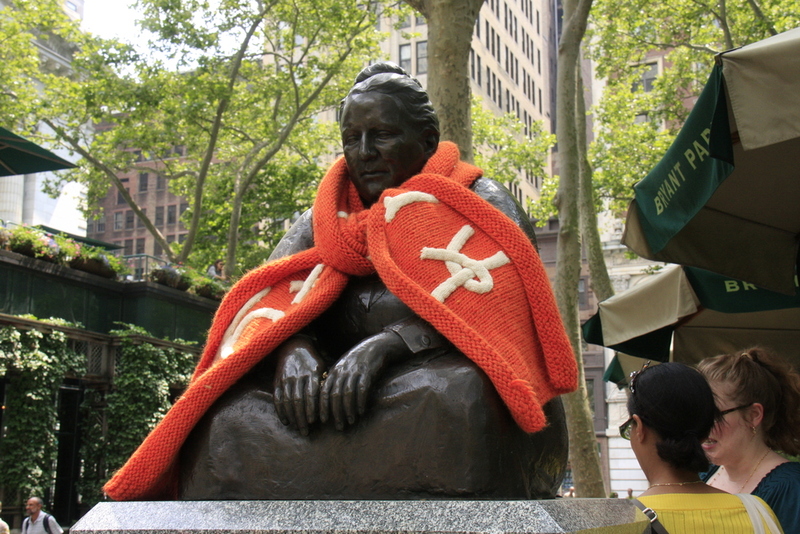 No surprise that she is known to be a patient, inventive and dedicated teacher at Knitty City; Diane ran the arts education department, which included fiber arts classes, at Brooklyn Children’s Museum and the Brooklyn Museum. Her creative life has not been limited to fiber arts, Diane has also taught documentary cinema at NYU and The New School and has published articles on the subject. 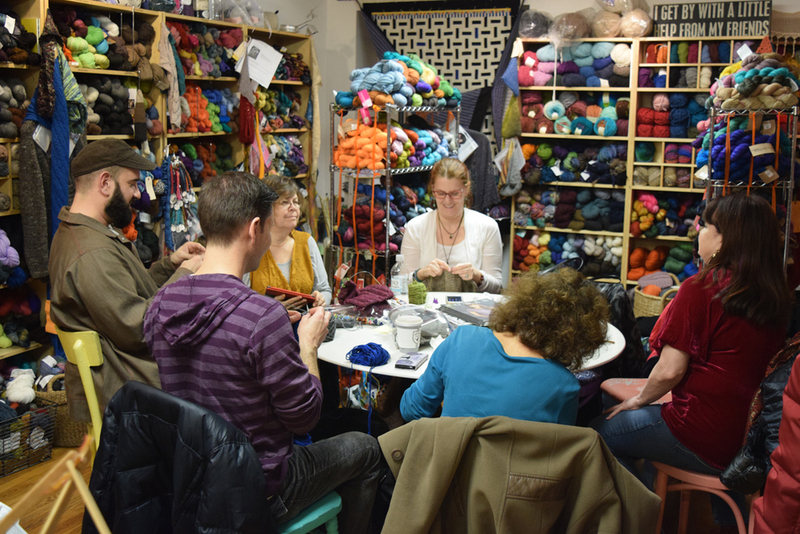 Diane has been teaching mitered squares, entrelac and finishing as well as finding ingenious solutions to just about every knitting and crocheting question that arises at Knitty City. Gail taught 1st grade, worked for Pan Am, ran a New York city travel agency and worked as an American Express travel agent....all excellent training for dealing with the variety of people who visit Knitty City. 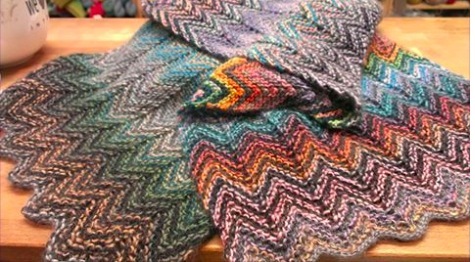 Gail is currently “very into shawls using different weight yarn needles that may not be called for in the pattern” and particularly likes Summerflies, a free pattern on Ravelry. 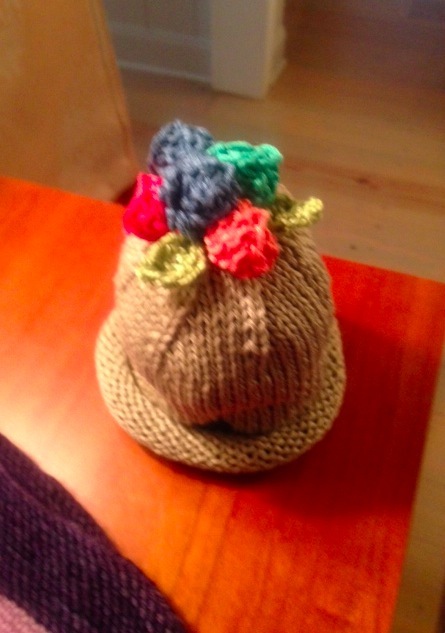 She is also knitting bunny hats for her grandkids and assorted other babies. Melissa relearned how to knit from her cousin during a period of unemployment (who didn't, at the time, know how big her stash would get in the near future). 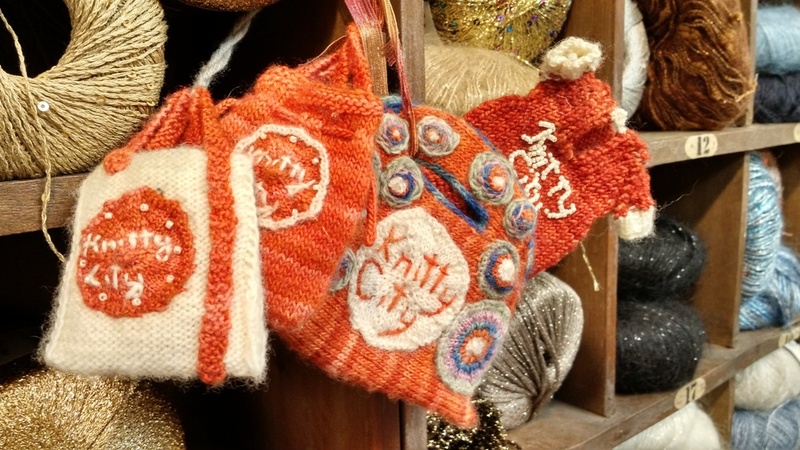 You can find her rearranging books on the shelves or items in the Knitty City window. 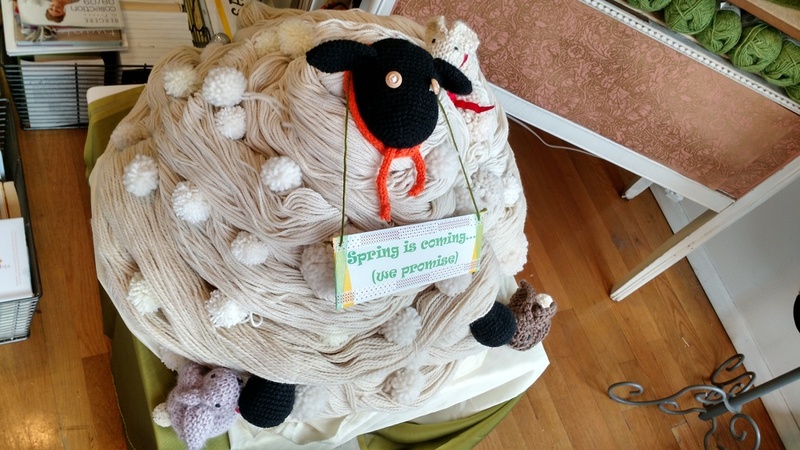 She enjoys being surrounded by the color, fiber, and people who share the obsession with all things knitting. Melissa has a master's degree in social work. She's most interested in garment knitting and a really big fan of wool (yes, just straight up wool). At Rochester Institute of Technology, Hannah attended The School for American Craftsmen where she majored in weaving and textile design and nurtured her passion for fiber arts; with one exception… She refused to learn how to knit! With a major a minor in fine arts, she also developed an avid interest in photography. After RIT, she stayed on in Rochester, NY for 1 year designing costumes for the Rochester Repetory Theater. 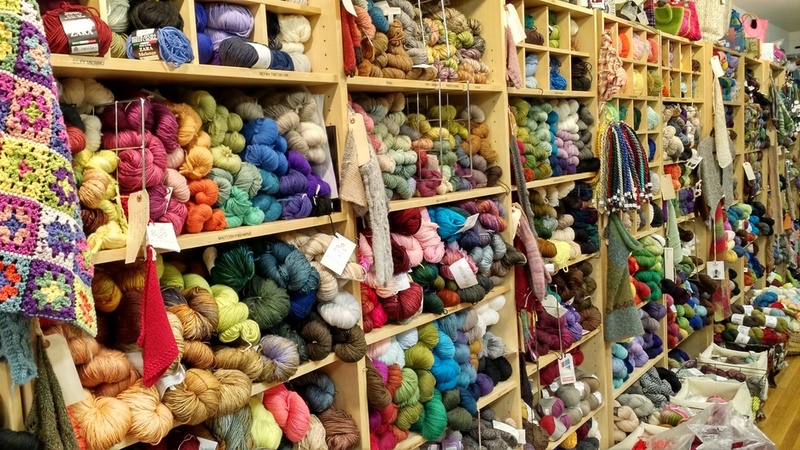 It was not until 1998, when inspired by her nephew Jake, then 7 years old and in the 2nd grade who was learning to knit with his whole class, that she became reconnected, once again, to her love of fibers. She taught herself to knit and has not stopped since, sharing the experience with others and teaching. Zac "the guy at the register" Chin is always discreetly working in the background, making sure Knitty City stays in one piece. No one really knows whether or not he can knit.